This book... Gah!!! It was so good. It was so much more than I was expecting. The book starts off with Kailyn meeting her celebrity crush in the most embarrassing way. It was cute and awkward and sparked a friendship between her and Daxton that spanned the duration of their time in law school. Until a betrayal leaves her bitter and angry. Fast forward 8 years... Kailyn finds Dax in her office needing some legal advice. This is where the unexpected emotions truly come into play. Dax is going through a terrible tragedy and has become the guardian of his baby sister. Kailyn has only one thing on her mind, her job. But the more time she spends with Dax and his sister, the less bitter and angry she becomes and she finds herself quickly falling for both of them. This is definitely a Helena Hunting book, chock-full of hilarious moments and cute-awkwardness and steamy sexytimes and so many emotions. I was expecting something light and fluffy, but what she gave us was so much more. It made the book better, more raw and real. I finished it in one sitting, it was that captivating. So good. If you're a fan of Helena's, then you'll definitely enjoy this book. If you're new to her, this is a great book to start with. 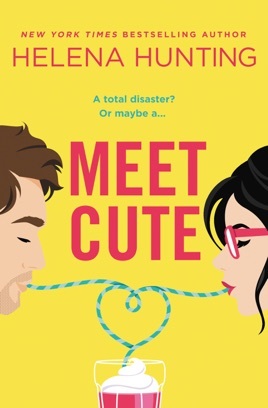 Meet Cute is one of my most anticipated reads of 2019 and Helena Hunting didn't disappoint! It was emotional, poignant, and heartfelt, but also sweet and hilarious at times. 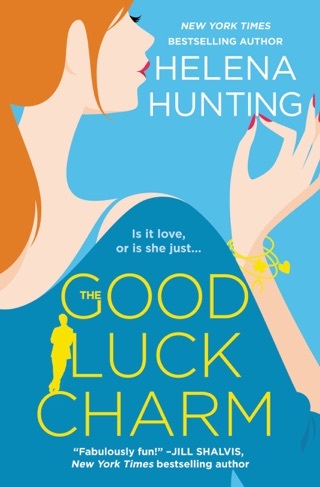 It isn't quite the cutesy romcom that the cover depicts, but those elements are certainly there and fans of Hunting will still see her trademark wit and sense of humor. This story was part enemies to lovers, part second chance, and a whole lot about family. Daxton (Dax) and his relationship with his younger sister, Emme, is central to the entire book and though there is romantic love, there's also love between siblings and friends. Dax and Kailyn have a complicated past, made even more convoluted by the tragedy that throws them together. As they reconnect, both are able to see the other in a new light. Old feelings come to the surface, while they try to maintain professionalism and consider the feelings of everyone involved. It was a realistic and honest conflict that they faced. I loved how they helped each other not only heal, but also move forward. I admired Kailyn's commitment to her pro bono work and how she was able to hold her own not only in her job, but also with Dax. Several times, she took him down a peg and showed not only her intellect but also her quick wit. Dax respected her for it and so did I. Things wrapped up quickly in the end and I did feel that the "villain" of the story was pretty predictable. I wish Dax would have heard Kailyn out before filling in all the blanks himself, but the epilogue more than made up for it! It left me with a huge smile on my face and was the perfect way to bring the story full circle.